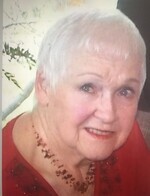 Marjorie Wiseman View Donations - Whitby, Ontario | Barnes Memorial Funeral Home Ltd. Message: In loving memory of Marj. You will be greatly missed but we know your suffering is over and you are at peace.